Teen’s bedroom makeovers are very gratifying and enjoyable. It is a great opportunity to do something creative with your child (even if you hire someone else to do it). They may even become house proud afterwards. That’s what happened with Mila. She now loves her bedroom so much that she really looks after it. She does her bed every morning, puts her clothes away in the evening and burns scented candles while doing her homework. Her bedroom is now the most welcoming, feel-good room in our home. Following Mila’s desk makeover, which many of you loved (thank you!) I have now tackled the rest of her bedroom makeover. My goal was to ensure her bed would be warm, comfortable for wintertime while feeling a bit more luxurious. A few months ago, we installed double-glazing which has made our home a lot warmer, cosier and secure. A pricey but necessarily evil home improvement. However, unlike the other bedrooms in our home, Mila’s room is exposed north and sees the least amount of sun. Since Mila didn’t want to move out of her room, I focused on making her bedroom cosy, warm and comfortable. The first thing I did, was getting her a new all season wool duvet, new wool pillows from Woolroom (which by the way, impressed me by their quality) and a new set of white bed linen in stonewashed linen. 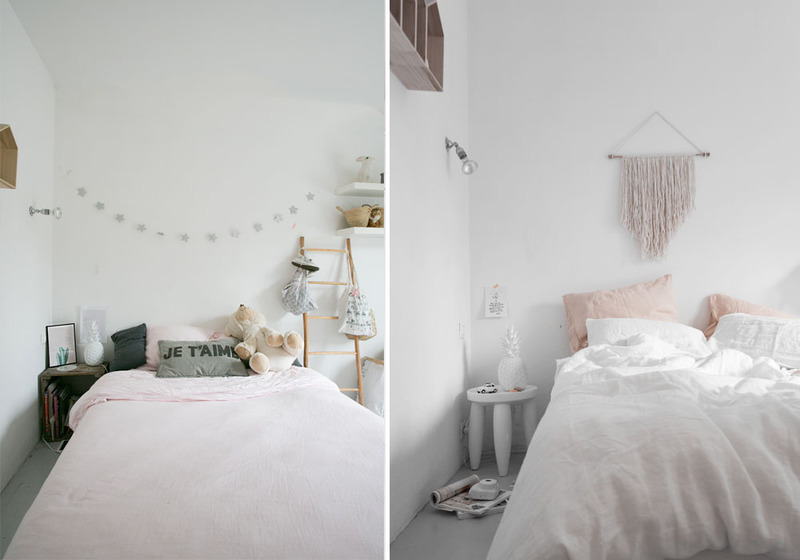 She has now two sets of bedlinen from Piglet in Bed (a soft pink and a pure white, which we both love) and the minimalist in me thinks it should be enough for now! The wool cushions & wool duvet from Woolroom come in fabric bags. Very useful for storage! The feathers duvet covers I had bought from Ikea years ago, was for us staying in the house during Summertime. Since we now live there full time, she needed something that would keep her warm at night during wintertime. 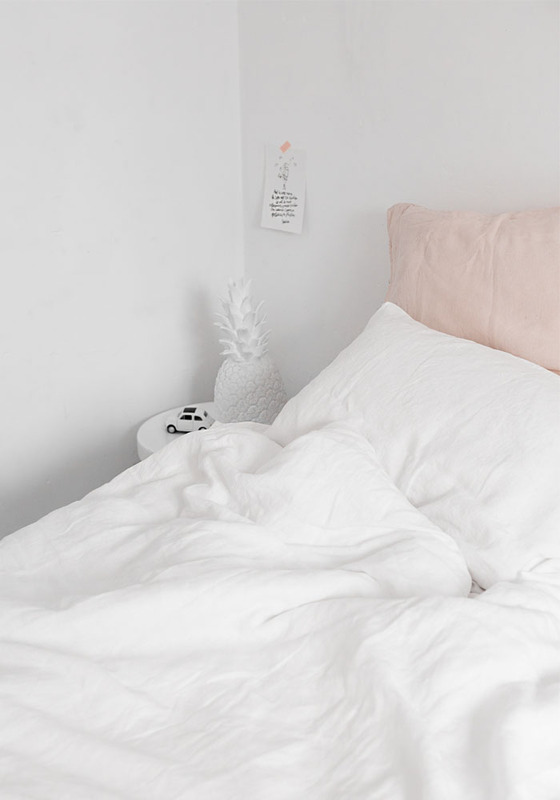 I love the idea of an All Season duvet because it means that you don’t need to purchase another duvet for different seasons and I like to keep things simple. 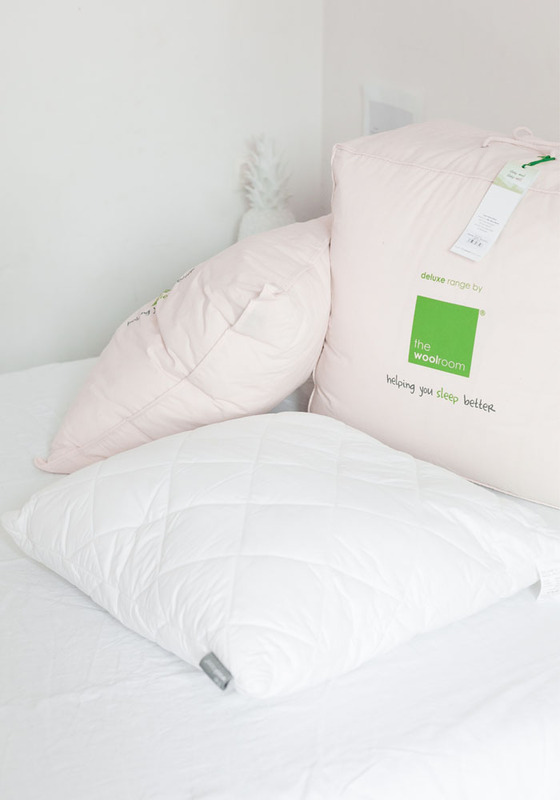 This Deluxe duvet combines two duvets together so you can just store one of them in the fabric bag that comes with the duvet when the temperatures rise. A little add-on but it has made our bed, a lot more comfortable and more luxurious. Steve and I are light sleepers which is why I was delighted to get our super comfy mattress back from London. I only need 7 hours sleep to be productive but it needs to be 7 hours of sound sleep otherwise I get grumpy and overeat (does this happen to you too!?). So…what are the reasons to buy wool bedding? Well, there are 4 good ones actually. Steve and I and suspect you too, need to manage our sleep better as we get older. I don’t want to end up having insomnia and be up all night like my mum or his dad. Mila, who is growing, also needs to sleep well to be attentive at school. I’m sure you already know that bad sleeping patterns affect children’s ability to focus on school but it impacts on their growth too. SLEEPCYCLE; my sister uses it and loves it. It enables you to monitor your sleep and set the optimum time for you to wake up. 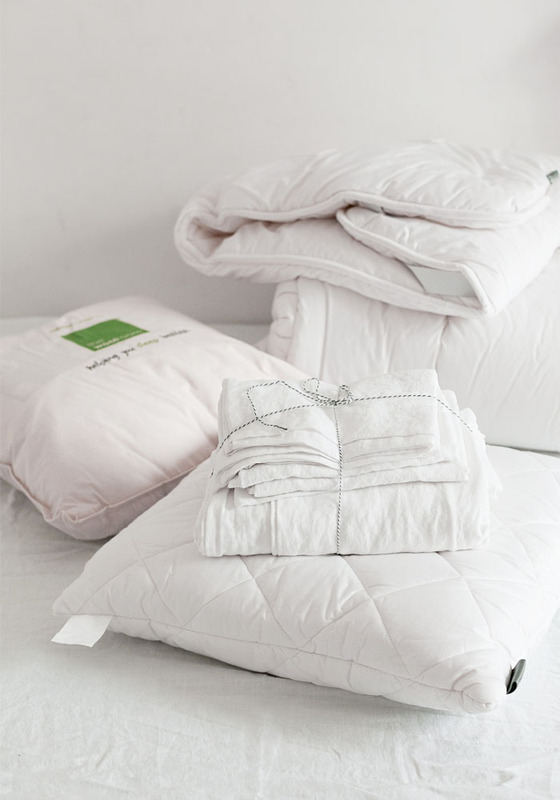 If you are cold at night, the wool fibres trap air to create an insulating layer and when you begin to perspire, wool helps you cool down by drawing moisture away from your body. It’s basically, the ideal way to keep a steady temperature for a peaceful night’s rest! 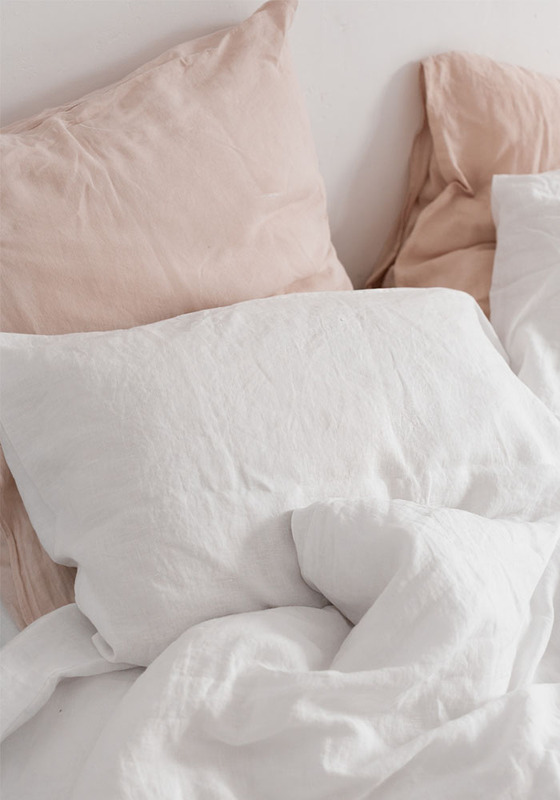 The same goes with linen which is why over the past few years, I have swapped all our cotton bedding for stonewashed linen bedding which looks a lot nice and doesn’t need to be ironed. Always a good thing. Even if you need to go to the laundry because your washing-machine is not big enough to fit a King size duvet, it will still work out cheaper than dry-cleaning. None of us in the family are allergic to feathers, pets’ hair, dust, etc. However, we have enough people staying in our home and kids with asthma or allergies for not caring so I think it’s a no-brainer to have hypoallergenic bed linen. So what did I do with Mila’s bedroom? I first moved the silver star garland somewhere else and hang a lovely wall decoration by Madame Stoltz. I also put Mila’s new wool pillows in pillow protectors to make the pillows last longer and avoid stains. While the pillows from Woolroom are machine washable, I think it’s also more hygienic to add some pillows protectors which you can just throw in the washing machine whenever you want. Mine are from Ikea but you can get some here too, which you can then use on a normal pillow to get the added benefits of sleeping on wool. 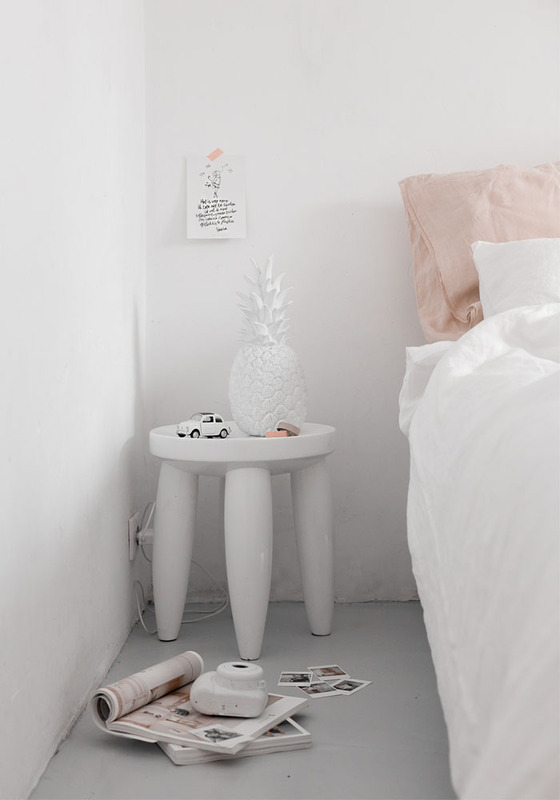 I then unpacked the lovely bedlinen from Piglet in bed, added some blush pillowcases I had in the cupboard and changed the vintage wooden crate for a white stool from Pols Potten (Isn’t this light pink stool beautiful!?). While it’s Mila’s bedroom, I feel it also looks grown-up and luxurious enough to host friends and family while the kids sleep in the other room with two single beds. The new wool bedding from Woolroom has added an extra touch of comfort and quality to Mila’s bedroom. 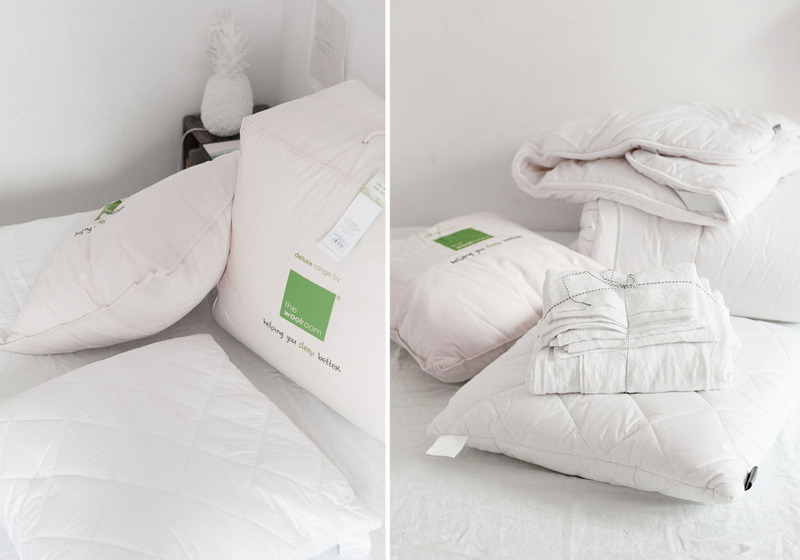 The other great thing worth noting from Woolroom is that they have both EU and UK sizes for their duvets, mattress protectors, mattress toppers and pillows. Considering more of us have lived throughout Europe or even own a property outside the UK, I think it is a useful thing. I hope you love the result as much as we do. 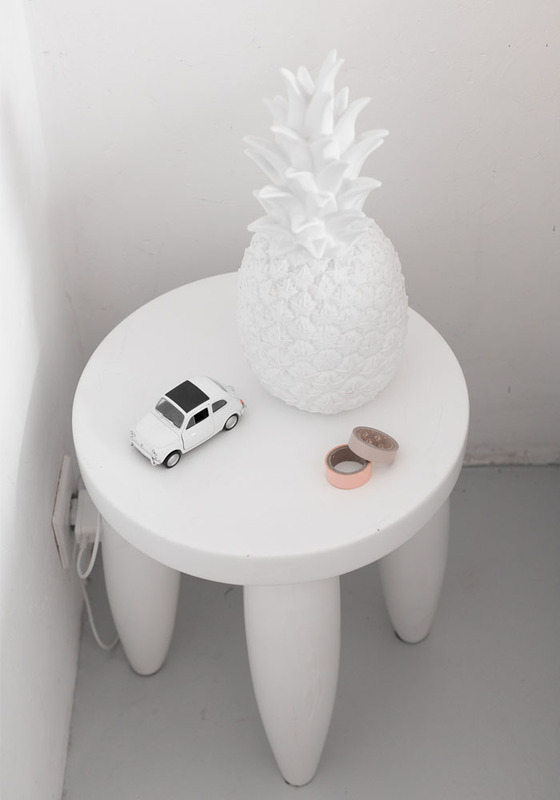 This combo of white and pale pink is very soothing, don’t you think!? Posted in partnership with Woolroom all views my own. Thank you for supporting the brands that help support BODIE and FOU. 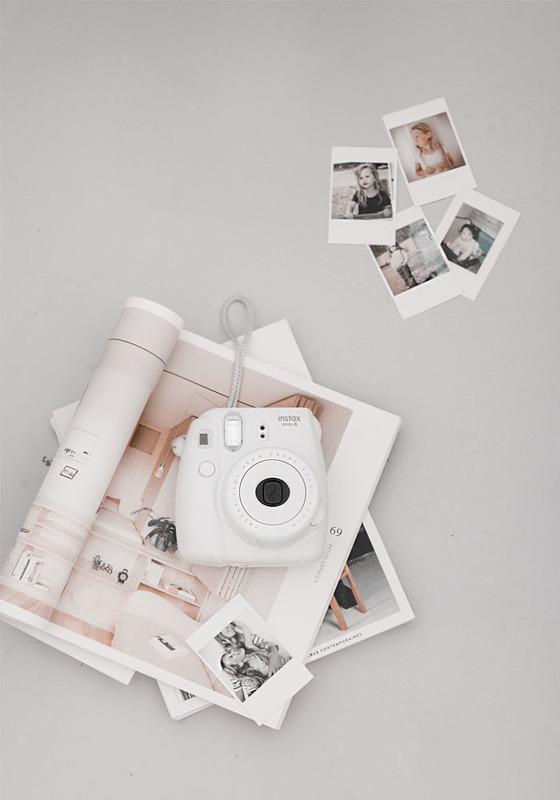 Follow me on Bloglovin’ or sign up to my E-news to be updated on new blog posts? What is the floor in Mila’s bedroom? Can’t quite tell from the photo. And what’s next on your list to do in your house? Canon. Jolis tons. Pas étonnant en même temps! Toujours perfect. Alors…the linen…I have quite a few from various brands so H&M is good I think although I’m not sure about the thread & quality. Zara is a bit harsh I found and doesn’t get softer after you wash it. Piglet in Bed has also some nice ones at a great value I think. 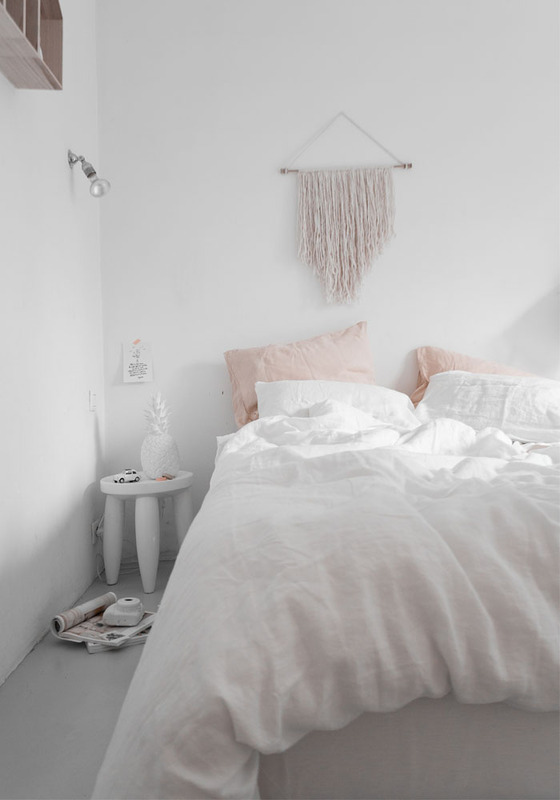 I love love love the duvet covers though but the sizes don’t fit with the duvet sizes in Germany.. great post!! thumbs up!!! Love the makeover of Mila’s bedroom. I have a 10yo boy who is into surfing too and his room needs refresh, so great timing for inspiration. :) Thanks for sharing! May I ask where your t-shirt is from? Love it. Love this! 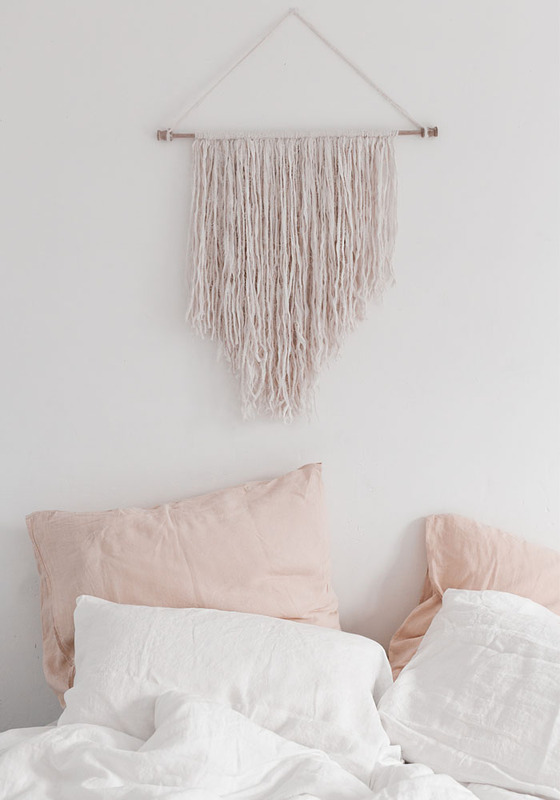 Curious about the wall hanging… is that yarn or fabric strips? This is very cute. I love the palette of subtle colors and how bright everything is. Great job. The way this room is designed and decorated is just remarkable, as the design is not so fashionable but really cool. One will really to live in this room. The color of the room is light which makes a calm environment to live in. Thanks for sharing the wonderful images as well as the description. Thank you so much for your feedback Caroline. I also got two more linen sets in dove grey and charcoal grey for our London house but my mum loved the dark grey so much that I think I will get one for her for Xmas. This is just so beautiful, I love it. I really like the photos taped by her bed with coloured tape, I think my little Woody would love some family pics like this too.